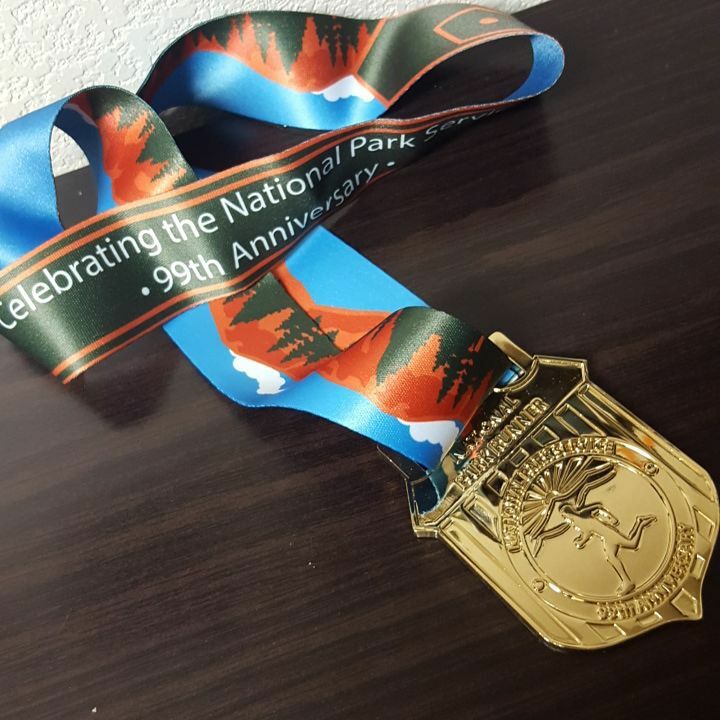 The other day I received my medal for the National Park Service’s 99th anniversary virtual run that I participated in on August 25th (the actual date of the anniversary). I had my therapy appointment that morning and had planned to wake up around 7am so I could run the 5K and shower before it was time to leave for my appointment. I didn’t get out of bed in time, so I decided I would walk the 3.1 miles for the virtual race instead with my pre- and post-appointment walking. I had already walked the 5K and was walking back to my car. I was super close to having exactly 4 miles walked so I figured if I walked around this one block right before I got back to my car that I would hit 4 miles on the dot. So I turned right and was walking down the hill. I was in la-la land and was paying attention to this SUV that was pulling up to the curb to park instead of where I was placing my feet. There was a driveway cut that, instead of having a slope into the driveway had a curb. Well, I didn’t know I was stepping off this curb and my ankle rolled so badly that it sprained and fractured. All of this you know. I’ve been kicking myself ever since that morning because if I had just gotten up when I had intended to and RAN the 5K instead of walking it that I would not have sprained/fractured my ankle because I would not have walked extra that morning and definitely would not have been walking down that hill. So I’ve been impatiently waiting for two things: 1) for the medal to arrive and 2) to be cleared from the boot to start running again (in a careful and cautious manner, of course) so that I could properly earn the medal. I refuse to hang it up on my medal rack until I’ve actually ran the distance. I posted a picture of the medal and me saying that I refuse to hang it until I’ve properly EARNED it by running a 5K. In no way, shape, or form did I ever say that walking a 5K isn’t legit or that it’s not an accomplishment. Because it is both. If I didn’t think that then I wouldn’t have bothered with making scrapbook pages for the races I registered for but was forced to walk due to being in the boot. This was posted on my personal Facebook page. Everyone that I am friends with KNOWS that I do not scoff at any form of exercise that a person does, no matter how small, no matter how insignificant the person doing it thinks it is. I always make an effort to lift people that are making an effort to better themselves and their health, no matter what they’re doing. I am everyone’s biggest cheerleader. I guarantee no one that I am friend’s with would have taken what I said that it was “clearly telling people that walking a 5K is not an accomplishment” because they know me and they know better. I paid the registration fee for my mom to walk a 5K in August. She was super excited to do it and I was so proud of her that she did it, even though she had just had minor surgery on her foot to remove a cyst like 2 months before the 5K. And she did fantastic by finishing in 57 minutes! I was just upset because even though there was photographers, I couldn’t find a picture of her on the course. If I found one I was going to buy it and frame it all pretty for her. When my friends tell me that they want to start running but every time they do their lungs burn or their legs hurt, I tell them to start out by walking. When they’re walking they can do small periods of running, like from one light pole to the next or one driveway to the next, then walk again and repeat. There is NOTHING wrong with walking. It is a PROVEN FACT that walking is ONE OF THE BEST exercises you can do for your body. That’s why there’s this big deal about getting at least 10,000 steps walked a day. That’s why the FitBit company has done so phenomenally well. That’s why I love my FitBit. It keeps me moving. I love when Sergio (my FitBit Surge) has his little “fiesta del diez mil” (10,000 party) when I hit 10K steps. 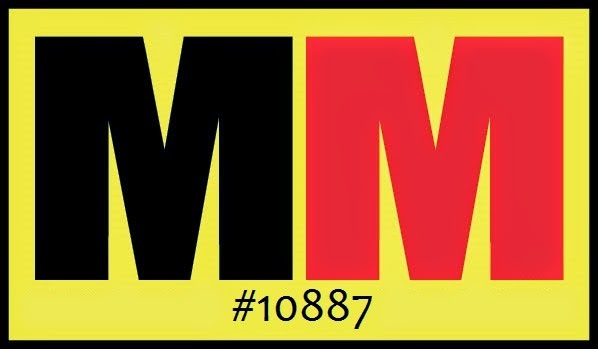 If I do nothing else on a particular day, I WILL hit my 10K steps as a bare minimum. That’s about 4 miles of walking for me. EVERY. DAY. So, I hope that none of you would ever think for one second that I would belittle any form of exercise. I honestly hope that none of you for even a millisecond would think that I wouldn’t support you if all you were doing was walking. Because that would not be true. I love walking. I think walking is totally legit and I think it IS an accomplishment. In closing, I am walking another 5K this Saturday. 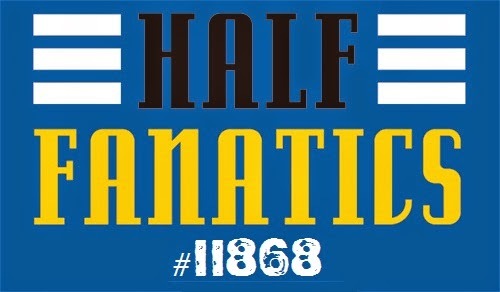 Later this month, I have a half marathon. Well, I have obviously NOT been training for that. There is a 3 hour cutoff. The slowest half marathon I have done was 2 hours 51 minutes. That was my very first half marathon ever and I wasn’t trained for it because I hadn’t run more than 1.5 hours total in the 6 weeks leading up to it (hooray depression). As long as I can finish within the 3 hours, I don’t care if I have to walk portions of, because, well, I know I’ll have to. I will have about a week or two of careful, cautious run-walking before the half marathon happens. I have a marathon in 6 weeks. I will also be walking portions of that. Same thing with the next marathon I’ll be participating in 3 weeks after the November marathon. But I’ll have company for that one. My friend Jennifer and I will be run-walking the December marathon together. It’ll be awesome! So you see, I have no problems with walking. None at all. I, me, personally, just prefer to run. But it’s not a requirement. You don’t need to be a runner to get my approval or my support or my admiration. You just have to try to do something. And to know that what you’re doing IS enough. Don’t belittle yourself or what you’re doing. Lift yourself up and be proud!